Fair trade isn’t just a cool name for fancy products that you see in stores like Whole Foods. Many of our western products are produced in sweatshops overseas and even made with forced labor and child slavery all because of our demand for the cheapest products. Yes, it’s true. Fair trade is a group of individuals and brands ensuring that their products that are produced in poor countries are made in safe working conditions and their employees are paid at a fair wage. Alaffia was created to help West African communities become sustainable using their local resources. A successful fair trade company in a poor country has a tremendous trickle effect: women are empowered, they can send their children to school, have access to medical care and other opportunities that can affect generations. Bicycles for Education – Since 2006, Alaffia have collected and sent over 6,300 used bicycles to disadvantaged students in Togo so they can get to and from school. Maternal Health – Since 2004, Alaffia has provided pre & post natal care for 3,237 women in central Togo to help reduce high maternal death rates in West Africa. School Supplies & Repairs – Alaffia donates metal roofs, seats and school supplies to schools in rural Togo to help communities educate their youth. Reforestation & Environment – To combat effects of climate change and deforestation by planting trees and building home biogas units. Now on to the skincare! 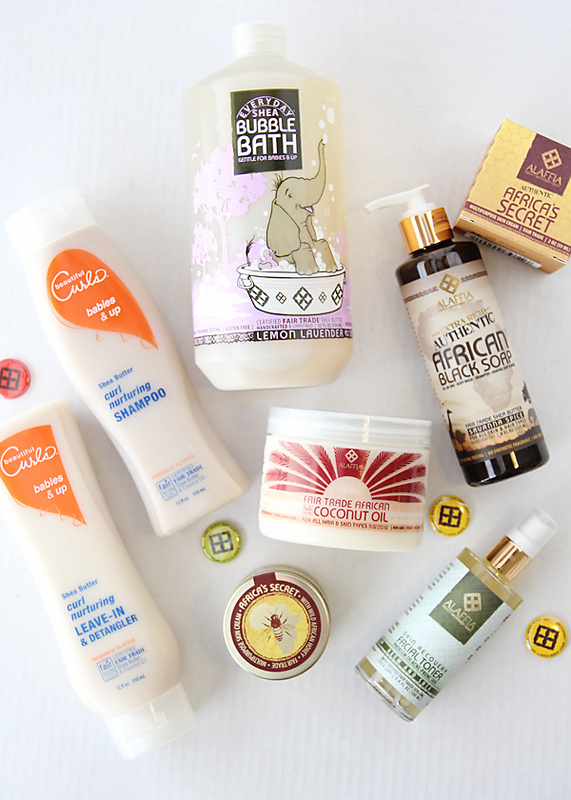 There’s bubble bath, kid’s shampoos, toners, soaps, serums and so much more. 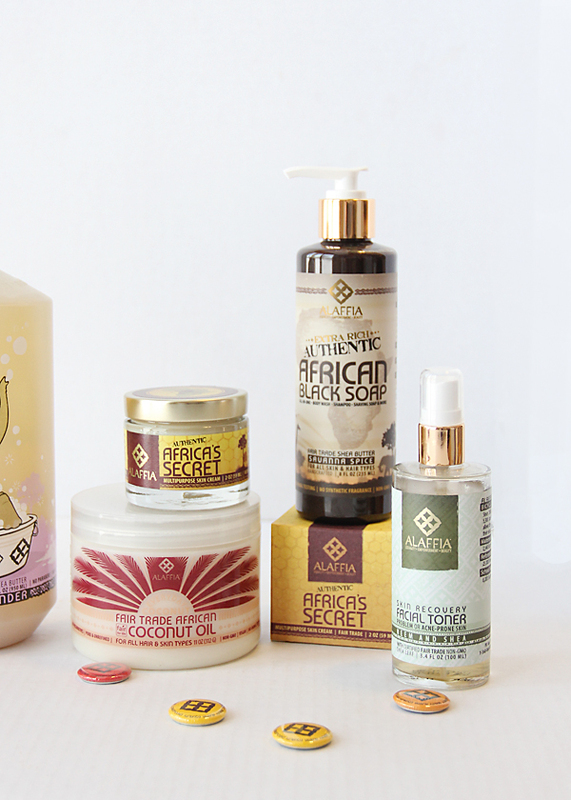 No Alaffia products contain parabens. Unrefined shea butter (known to have many healing and moisturizing properties) is the main ingredient in many of Alaffia’s products, but each ingredient is handcrafted in Togo under fair trade, organic and traditional guidelines. I am very grateful that Alaffia sent me these products and I will continue to buy them, but my all-time favorite Alaffia item so far is the Neem and Shea Skin Recovery Facial Toner spray formulated for problem skin. It removes impurities, provides moisture, fights blemishes and calms irritation and redness. I challenge you to switch out your family’s skincare products with Alaffia. I bet you will find that you will buy less and care more. As moms, changing where we spend our money is an easy step that can make a difference in the lives of other moms around the world.